Ivory Tower Project is a new breed of 'old school' rockers. Music for those who love the sound of Classic Pop/Rock inspired by the great artists of the 70s and 80s. 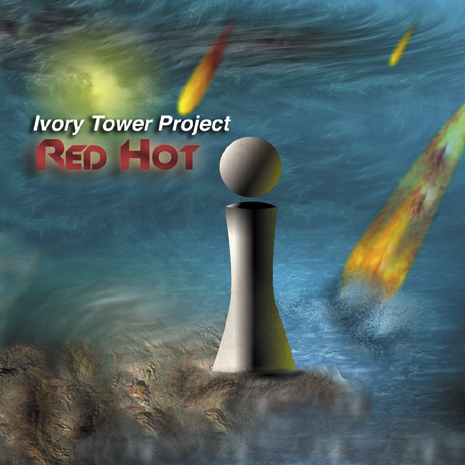 Ivory Tower Project (also known as: ITP) was founded by NY veteran songwriters Johnny Jace and Mark Regula. NYC veteran guitarist Tony Novarro was soon recruited, and Novarro and Regula formed the core of ITP. As original band members left they were replaced by the NY Metro area's finest studio musicians that transcended Ivory Tower from being a band into a studio Project. ITP released Red Hot through Guerrilla Records, receiving rave reviews and airplay on over 375 radio stations in 28 countries worldwide. How do you describe your music to people, Mark? Figuring out as to what should I research and follow up. There are so many "offers" on the internet, and it takes discernment to figure out what is a real opportunity for an an independent artist, and what is a dead end. Most of the independent artist communities (where you post your music) are all about you bringing your fans to their web site. Instead of the web site attracting new fans for the artist.